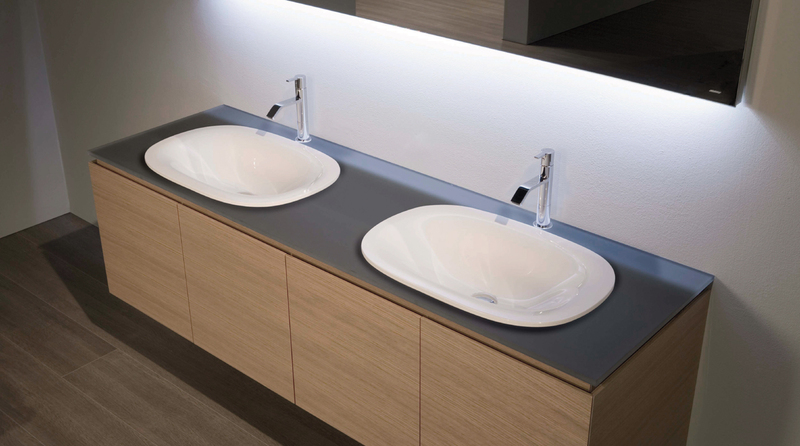 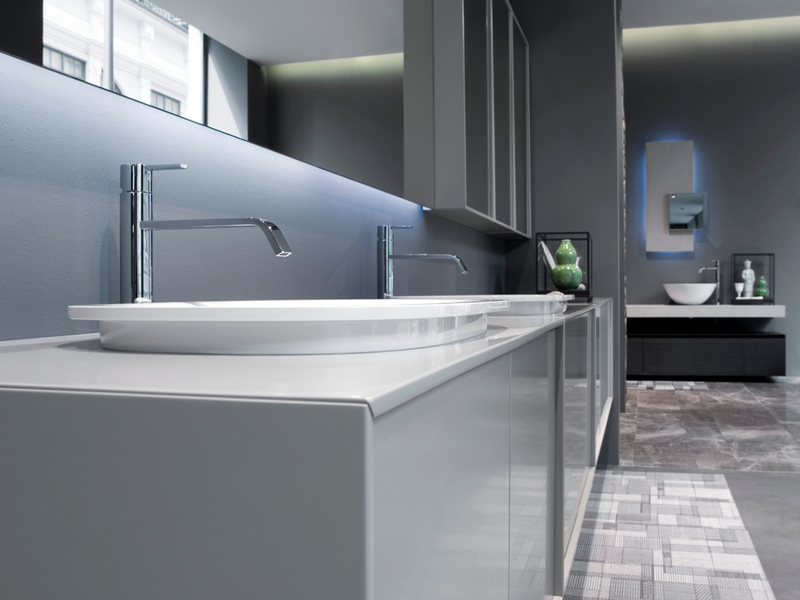 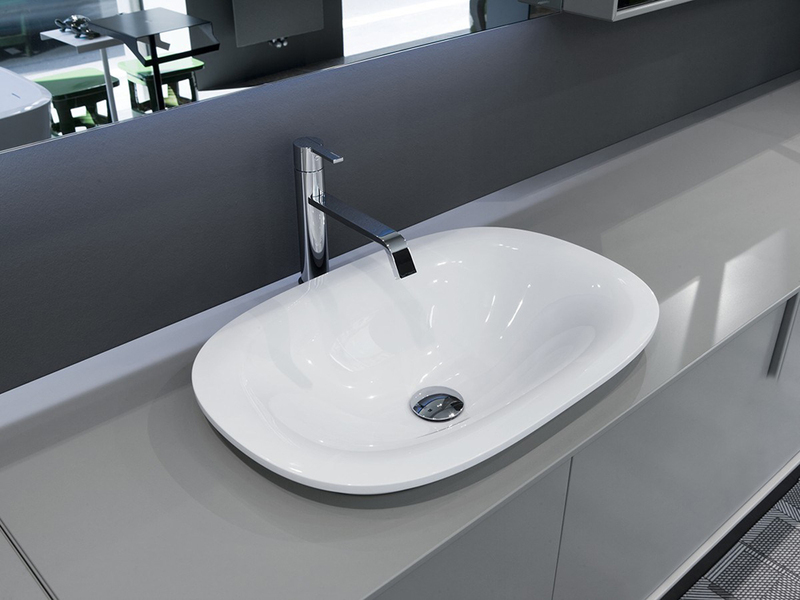 One washbasin with multiple configurations. 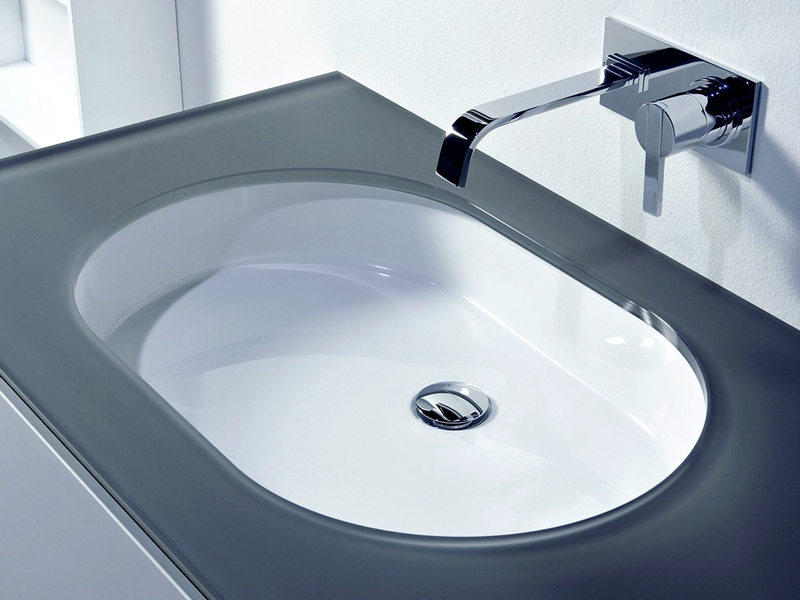 Why think of multiple solutions when a single solution can meet all customer needs? 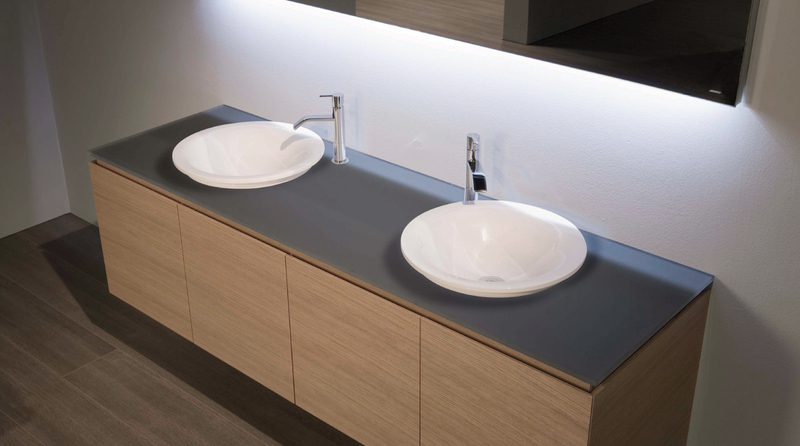 The result is Trino, designed to be used in three variants: under-top, countertop and semi built-in.